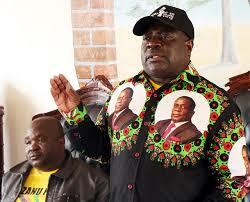 Zanu PF has ordered re-runs in some constituencies where appeals against irregularities have been upheld. Political Commissar, Lt-Gen Rugeje said :"As I indicated yesterday there are certain constituencies which we are going to have a re-run of the primary elections. The National Elections Commission is going through a number of appeals and after their adjudication we will then determine which constituencies are going to be re-run in terms of primaries." On the demonstrations that occurred at the party headquarters yesterday he said it was the democratic right of people to express themselves. “There were a few people who demonstrated outside and we believe it is their democratic right to do so but after they were addressed by our commissariat department that whatever appeals they had launched were going to be addressed they then dispersed,” Lt-Gen Rugeje said. The ruling party also released names of candidates that were successful in polls to represent the party in the women’s quota and Senate. Some of the prominent names that were successful in the women’s senatorial race include Manicaland Provincial Affairs Minister Cde Monica Mutsvangwa (Manicaland), Tourism and Hospitality Industry Minister Cde Prisca Mupfumira (Mashonaland West), Thokozile Mathuthu (Matabeleland North), Tambudzani Mohadi (Matabeleland South) and Midlands (Tsitsi Muzenda). Prominent names for male senatorial candidates include Health Minister Cde David Parirenyatwa, former Finance Minister Dr Herbert Murerwa, and For Minister of State Security Dr Sydney Sekeramayi (Mashonaland East), former education minister Gabriel Machinga, Lovemore Matuke and Masvingo Minister of Provincial Affairs Josaya Hungwe (Masvingo) while in Matabeleland North there are Home Affairs Minister Cde Obert Mpofu and Matabeleland North Provincial Affairs Minister Cde Cain Mathema and Information and Broadcasting Services Minister Cde Simon Khaya Moyo, Matabeleland South. Due to logistical challenges which affected the distribution of voting material to remote constituencies, the party managed to announce results from 190 out of the 210 constituencies. In a statement, Lieutenant-General Rugeje, said results were from at least 90 percent of the constituencies. “We have results of at least 90 percent of total constituencies for the National Assembly. We have 22 females who made it. “There are some constituencies where voting is still to be done, while in other areas polling is in progress, and we will notify the nation as soon as we get the results,” said Lt-Gen Rugeje. The list shows heavy casualties as some Politburo members and senior party officials were whitewashed, among them Special Advisor to the President Ambassador Christopher Mutsvangwa, who was upstaged by Cde Langton Mutendereki in Norton, Mashonaland West. Minister Christopher Mushowe did not make it in Mutare West, as he was defeated by Cde Jennifani Muswere, while in Mutare South Cdes Nyasha Chikwinya, Freddy Kanzama and Godfrey Chikosi were all thumped by Cde Jefrey Ngome. Finance and Economic Development Minister Patrick Chinamasa however, bucked the trend when he won in Makoni Central with Information Communication Technology Minister Supa Mandiwanzira also winning in Nyanga South. Former Cabinet Minister Tabeth Kanengoni Malinga lost to Cde Sydney Chidamba in Mazowe Central while in Mazowe North incumbent MP and Mashonaland Central Governor Advocate Martin Dinha was trounced by Cde Champion Mugweni. Min Chinamasa’s son Antony Tendai Chinamasa failed to land Mutasa Central when he lost to Cde Jefta Kuziva Sakupwanya. In Bulawayo, although incumbent MPs Cdes Tshinga Dube in Makokoba, Maidei Mpala in Lobengula-Njube and Joseph Tshuma in Pelandaba Mpopoma triumphed in their constituencies, Ntandoyenkosi Mlilo fell by the wayside after Garikai Zonde won the elections in Luveve. The elections also ushered in new faces such as Bulawayo businessman Cde Raj Modi who won in Bulawayo South constituency. Matabeleland North was affected the most by logistical hiccups as it had five constituencies – Binga North and South, Bubi, Hwange West and Central, whose results were not announced on Wednesday. Cde Sithembiso Nyoni was not contested in Nkayi North. In Matabeleland South all 13 National Assembly seats were taken up. ZBC staffer Cde Omphile Marupi triumphed over former Minister Abednico Ncube in Gwanda South, while former Cabinet Minister Andrew Langa was defeated in Insiza North by Cde Farai Taruvinga. Incumbent MP for Insiza South Cde Malachi Nkomo lost to Cde Spare Sithole. In the Midlands province, only two constituencies – Gokwe Kabuyunu and Gokwe Gumunyu – out of the 29 National Assembly seats were not announced. Senior party officials managed to hold their own in a majority of constituencies. Cde Pearson Mbalekwa was defeated by Cde Brown Ndlovu in Gweru Chiundura, while ZBC former boss Cde Alum Mpofu won in Mberengwa South.